Senzime has entered exclusive distribution agreements for the commercialization of TetraGraph with EIKOS Care Medical, who will be the exclusive distributor in Spain, and Geranswers Medical Solutions who will be the exclusive distributor in Portugal. Both companies have management and sales forces with extensive experience in the Medical Device industry in Spain and Portugal with a focus on novel technology. The TetraGraph will be an important contribution to their existing portfolio. The agreement is based on a compensation scheme of “per-unit sold” basis and is in line with current industry compensation levels without guaranteed sales. Lena Söderström, CEO Senzime, commented: "EIKOS Care Medical and Geranswers Medical Solutions are ideal partners with complementary product portfolios and extensive connections in the anesthesia field within their home markets. The distributors have the infrastructure and experience needed to make TetraGraph market leader in these countries”. The TetraGraph is an innovative and user-friendly system for monitoring patients undergoing general anesthesia with muscle relaxant drugs. The system makes it possible to objectively determine the correct dose of muscle relaxants, and helps the clinician determine when the patient is sufficiently recovered to sustain spontaneous breathing. TetraGraph is intended to easily and precisely monitor the effects of muscle relaxant drugs and their reversal agents and to reduce postoperative complications and healthcare costs. 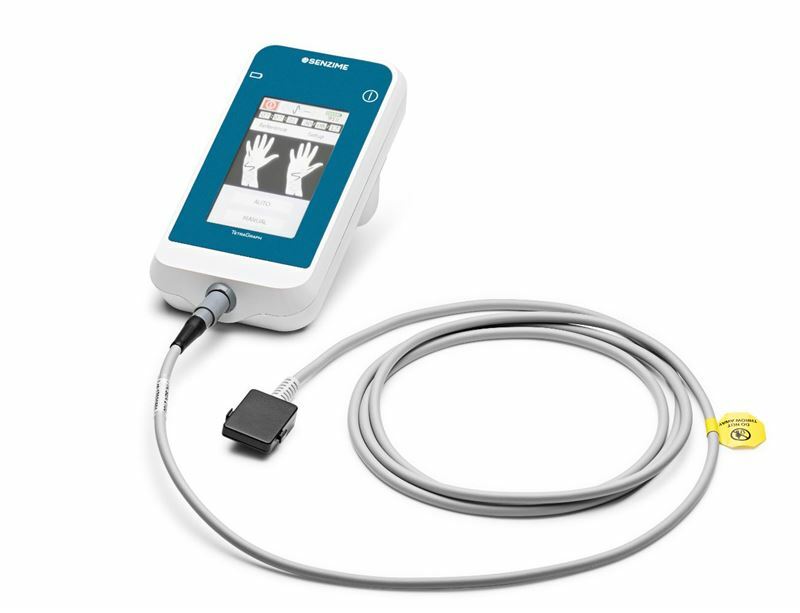 The system consists of a portable, hand-held patient monitoring unit and non-invasive disposable sensors. Senzime has previously entered distribution agreements for TetraGraph in the UK, Ireland, Switzerland, Australia and New Zealand, and licensing agreements in Japan. Discussions are ongoing with distributors for additional markets and additional agreements are expected during 2018. This information is insider information that Senzime AB is obliged to make public pursuant to the EU Market Abuse Regulation. The information was submitted for publication through the agency of the contact person set out above, on March 7, 2018.